Who's ready for Valentine's Day?? 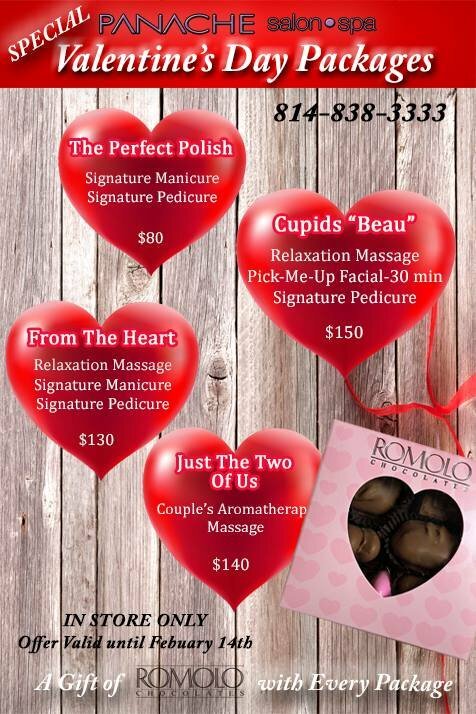 Treat the one you love to the gift of pampering at Panache Salon and Spa this year! From nails to facials and massages & even something for the two of you- take advantage of this amazing special before time runs out.